Recently, we heard from Hudson Stremmel of Stremmel Auctions, based in Reno, Nevada. 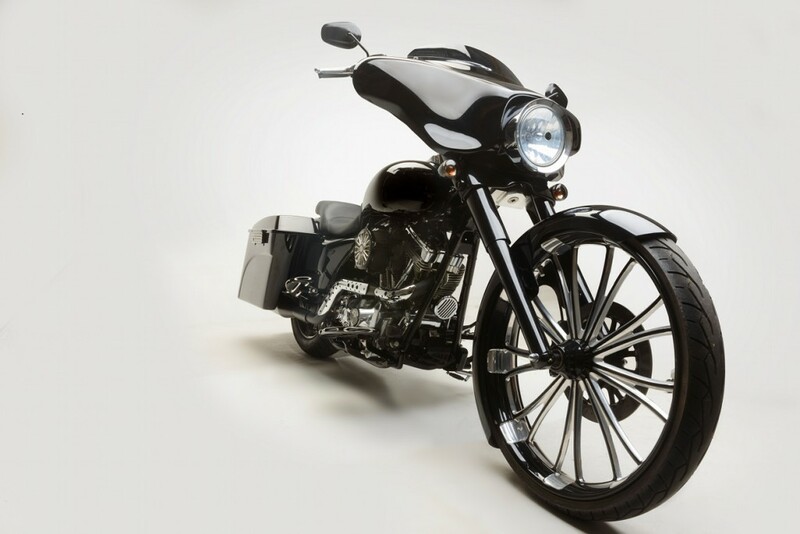 In conjunction with the city’s Street Vibrations Motorcycle Rally, the auction house will be featuring a number of custom, historic, and interesting bikes. 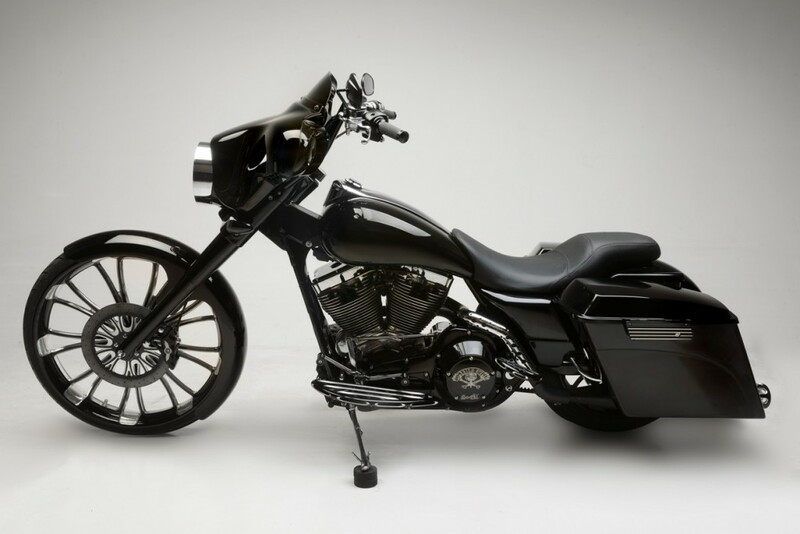 Top of the list is this 2013 Hellrazor, built by Rusty Coones of Illusion Cycles for none other than Kurt Sutter, the creator of Sons of Anarchy and the new spinoff series, Mayans MC. Rusty Coones, who appears on the show as character Rane Quinn, president of an SOA Nomads charter, is a 6-foot, 5-inch Hells Angel who was president of the San Fernando Valley and Orange County chapters. 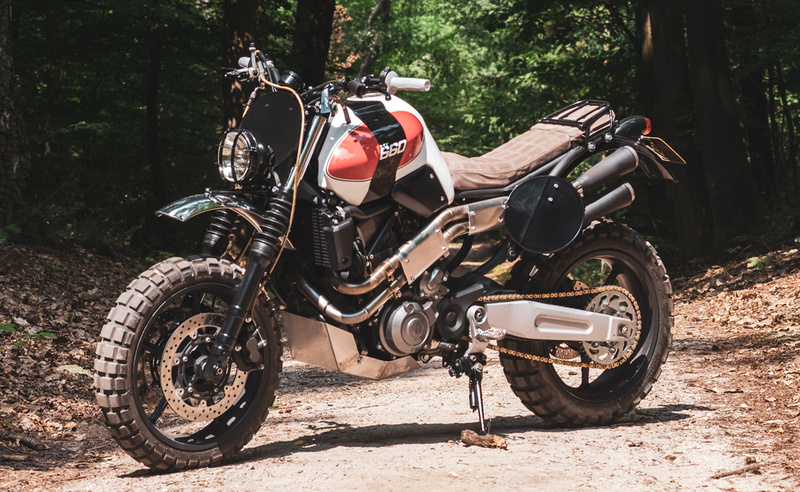 He bought Illusion Motorsports in 1999 — right before he was arrested on a drug-conspiracy charge and spent six years in federal prison — “bad food, bad company, and a bad time.” When he got out, the economy was in shambles and the custom bike-building scene was falling apart. 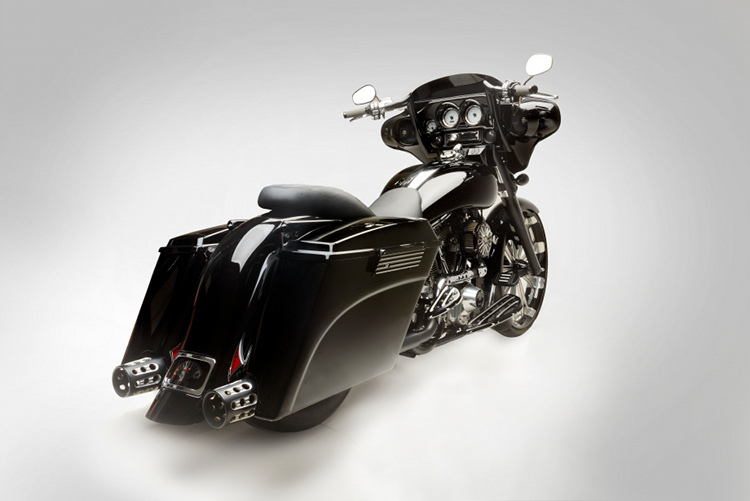 Below, we get the full story on this custom bagger. My name is Hudson Stremmel and I am just reaching out on behalf of Stremmel Auctions in Reno, Nevada. We are conducting a motorcycle auction this September in conjunction with Street Vibrations Motorcycle Rally and we are featuring bikes from all of the country. 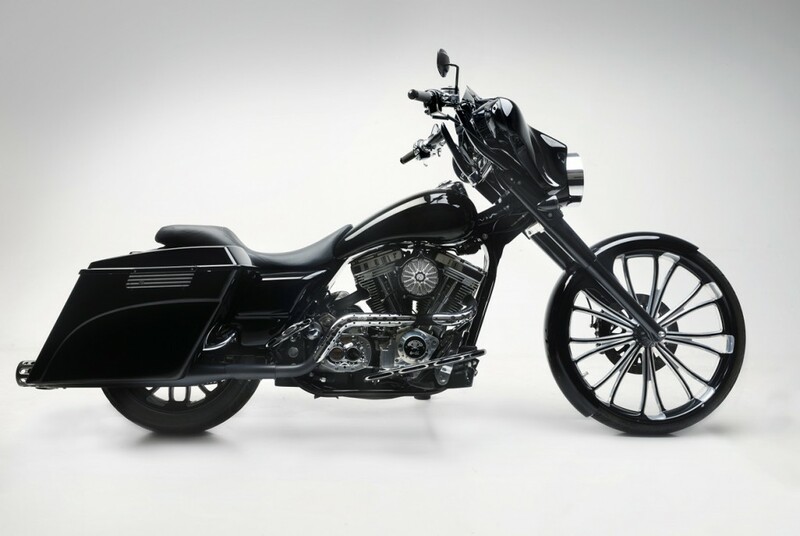 One bike in particular that we are featuring is a 2013 Custom Hellrazor that starred in the hit TV show, Sons of Anarchy. 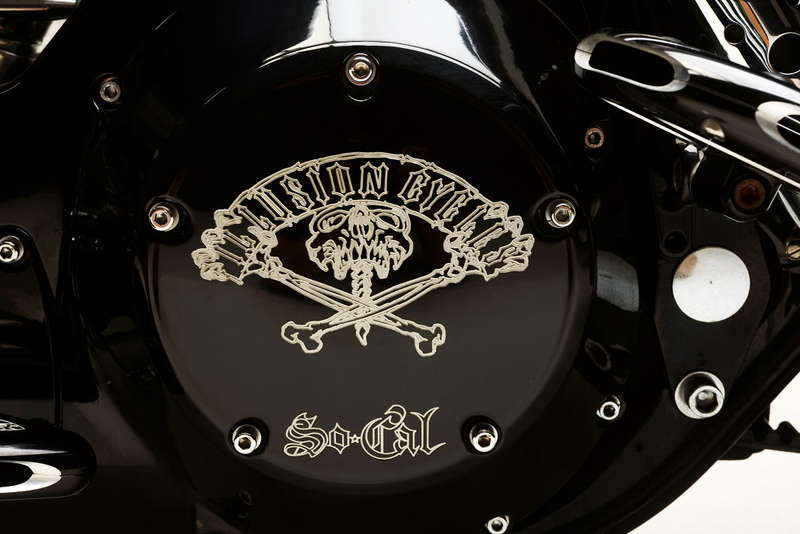 This bike is a custom build by Rusty Coones (Rane Quinn on the show) and Illusion Cycles. 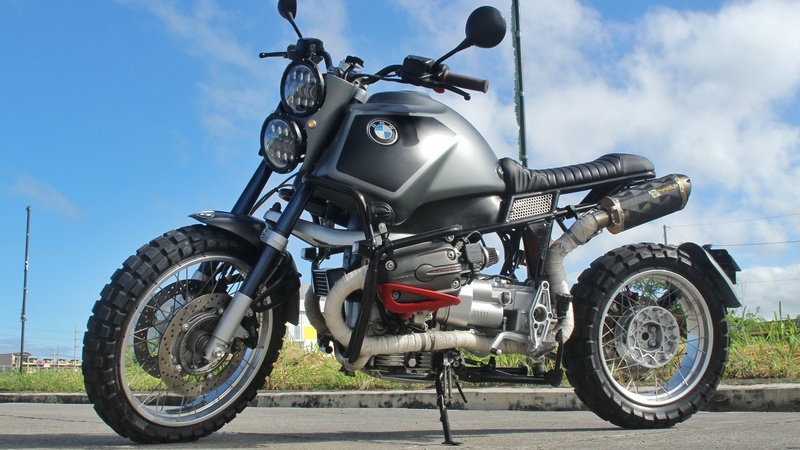 It was one of the best bikes to appear on the show and is expected to sell for over $100,000! Not only are we featuring this bike, but we will be having items donated from SOA that will be sold and all proceeds will be going to charity. Rusty is already sending up a signed photo on canvas among a few other things. What happened is after the bike was built, Sons of Anarchy asked if they could borrow it for the show. Three years later the bike was returned to our consignor and here it is in the auction. It’s an incredible machine and even better story. This is just one of the many bikes that we will be featuring. The auction is September 28th, beginning at 6pm. I thought this was kind of an interesting story, but then again, I’ve been told many times I don’t have the tools to be thinking! Thank you for your time and if I can answer any questions, it’d be an honor.